Visakhapatnam is a beautiful port city in India with a population of just over 2 million people. Known as “The Jewel of the East Coast”, it is located between the Eastern Ghats mountain range and the Bay of Bengal. Visakhapatnam is home to many popular tourist sites that include Ramakrishna Beach and the illustrious Kali Temple. Cheap flights to Visakhapatnam are now available for a limited period of time, so prepare to indulge your senses with the beauty and incredible experiences this city has to offer! Visakhapatnam is home to Visakhapatnam Airport (VTZ) which is a 20-minute drive from the city centre. VTZ mainly serves SilkAir, Jet Airways and Air India. 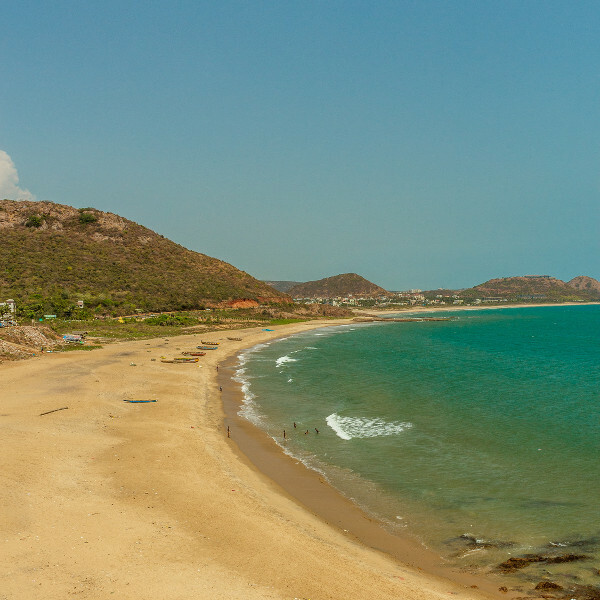 There are no direct flights from South Africa to Visakhapatnam but affordable, connecting flights depart from Johannesburg and Cape Town. Flight duration from Johannesburg to Visakhapatnam is approximately 18 hours and 20 minutes. Visakhapatnam is home to incredible monuments and extremely beautiful temples - make time to admire the splendour of the Simhachalam Temple, a Hindu temple built in the Kalinga architectural style. 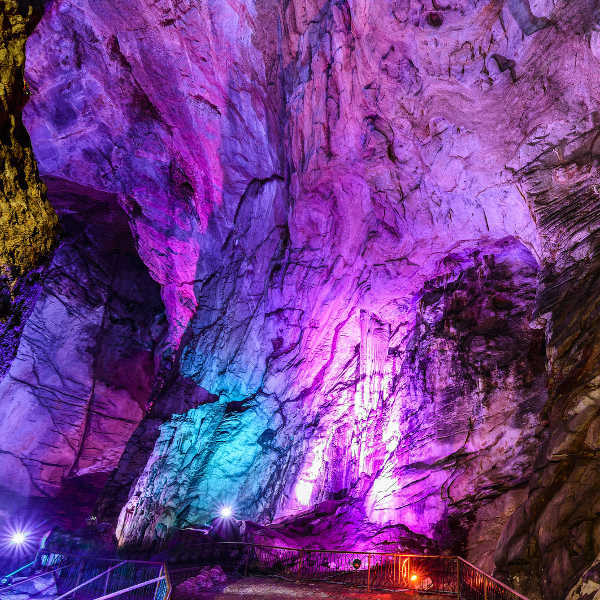 Explore the magical world of the Borra Caves high up in the hills of the Araku valley. A tour of the caves will unveil some of Visakhapatnam’s intriguing history, tribal cultures and religions. Stroll along beautiful beaches like Ramakrishna or Rishikonda, take a dip in the waters of Yarada beach or visit the incredible Dolphin’s Nose and lighthouse along this city’s amazing coast. The best time to visit Visakhapatnam is in the winter months that span between October and March. Weather conditions are pleasant as temperatures are much lower, making sightseeing and days on the beach perfect holiday activities. However, air fares and accommodation rates are at their highest, as this is the peak tourist season. Traditional and religious festivals such as Diwali also take place during October and November, so expect a crowded city. For a quieter and more affordable holiday, visit Visakhapatnam in the summer between April and June, or the monsoon season from July to September. Despite summer’s scorching day temperatures, the evenings bring a cool sea breeze and perfect weather to visit shopping malls and restaurants. Temperatures during the monsoon season are much cooler, yet still pleasant and sightseeing on the days the city receives average to no rainfall, will still be incredible. Visakhapatnam, ‘the Jewel of the East Coast’ is a gorgeous port city and popular tourist attraction in India. Located between the Eastern Ghats mountain range and the Bay of Bengal, it is home to an incredible coastline, beautiful natural attractions and unique cultures and cuisine. Indulge your senses with the spicy and flavourful food on offer at the multitude of restaurants in the popular Siripuram district and other areas in the city. Dig in to some mouth-watering vegetarian, meat and fresh seafood curries or enjoy a tasty, traditional meat dish like Qeema. 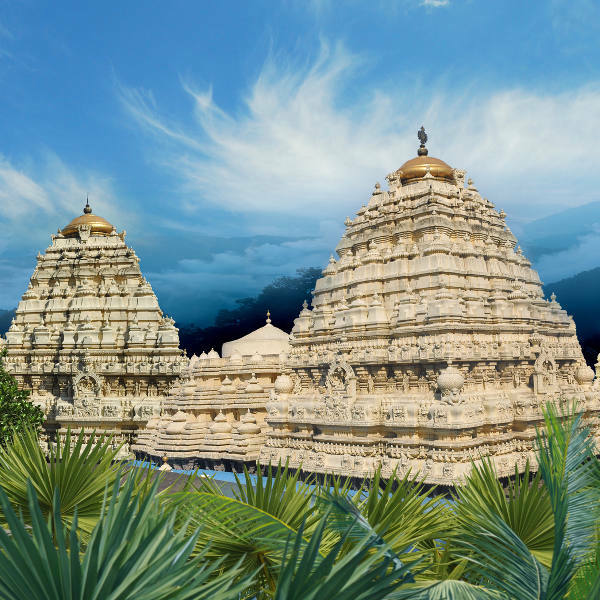 Once you are fuelled up and rested, don’t miss seeing the illustrious Kali Temple or the unique and beautiful Simhachalam Temple. Visakhapatnam is also home to the Indira Gandhi Zoological Park where you can check out amazing animals like the Bengal tiger and Egyptian vulture. After all the sightseeing, relax with the locals on the sandy shore of the famous Ramakrishna Beach, get your feet wet at Rishikonda Beach or visit the Dolphin’s Nose rocky peninsula where you can enjoy the view of the city or explore the Sagar Mata temple and the lighthouse. Don’t miss the guided tour through the magical Borra Caves and its additional attractions like the Tyada Railway Tunnel and the Damuku View Point. Compare several airlines, and book your cheap flights to Visakhapatnam online at Travelstart. South Africans do require a tourist visa to enter India. The visa enables you to stay for a maximum of 6 months. Once you leave the country, you will have to wait at least two months before you are allowed to re-enter India. Ensure your South African passport is valid for at least six months beyond date of return and has at least two blank pages available for stamps. For further information, the High Commission of India in South Africa can be found at 852, Francis Baard Street, Arcadia in Pretoria. Make sure your routine vaccines that include the MMR vaccine, DPT, Chickenpox, Polio and yearly flu shots are updated before travel. As an additional precaution, you should get vaccinations for Hepatitis A and B, Cholera, Typhoid, Japanese Encephalitis and Rabies, as you may be exposed to infected stray dogs and other mammals while on holiday. Taking medication before, during and after your trip is recommended to prevent Malaria, which is a risk throughout India. The Zika virus is also found in India and you are advised to protect yourself from mosquito bites with mosquito nets, repellents etc. Sexual transmission of Zika is possible and infection in pregnant women can cause serious birth defects. Visakhapatnam is a fairly safe city, however, you should still practice normal safety precautions such as keeping your valuables and important documentation safe and watching out for petty crimes like bag-snatching or pick-pocketing, especially in busy and crowded streets and railway stations. Women should be particularly safety conscious and are advised to avoid travelling or visiting isolated areas in the city alone, especially at night. Most beaches have strong currents, making swimming unsafe, and warning signs may not be visible. Before going out for a day on the beach do some research on the beach you’d like to visit.